The Messenger Boy (Gaiety, 3 February 1900) was the first Gaiety show to offer a change from the customary ‘girl’ titles. Edmund Payne was Tommy Bang, who is supposed to be delivering a promissory note but is given a compromising letter instead. The big hit was Maisie, sung by a totally incidental character played by Rosie Boote, who was rewarded for her success by making the real-life transition from chorus girl to aristocracy by becoming the Marchioness of Headfort. 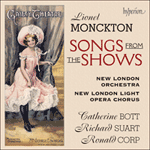 It was in singing this song on tour that Gertie Millar first attracted Lionel Monckton, leading to her transition to star status at the Gaiety. Isabel / Chorus: She is Maisie. Isabel / Chorus: Make him crazy. But she manages to get right there. And they all cry ‘whoops’ when Maisie’s coming near. But Maisie gets right there. Isabel / Chorus: Little Maisie. Isabel / Chorus: Dim and hazy. Maisie manages to get right there. Isabel / Chorus: Never lazy. And of course she has to land right there. But Maisie stops right there.